The small town of Lake Louise is located just 45 minutes west of Banff in one direction and about one hour east of Kicking Horse. This quiet ski location in Canada doesn't have the amenities or nightlife Banff has to offer, but is situated just minutes away from the Lake Louise Ski Area which boasts the greatest skiable terrain and has won awards for the best scenery in the Canadian Rockies! 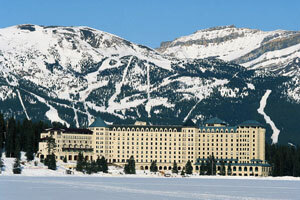 For more information on our featured hotels in Lake Louise, click on the links opposite or contact us for more details.